Well, my final date at work is fast approaching (last Friday of July) and I will soon be returning to relying on freelance work and caricature related earnings. I am a little apprehensive but also really really REALLY excited!!!! My plan to keep focused is to post regularly on this blog, as well as creating a couple of other creative blogs too. I am also hoping to complete a new studio caricature each week for my website gallery. 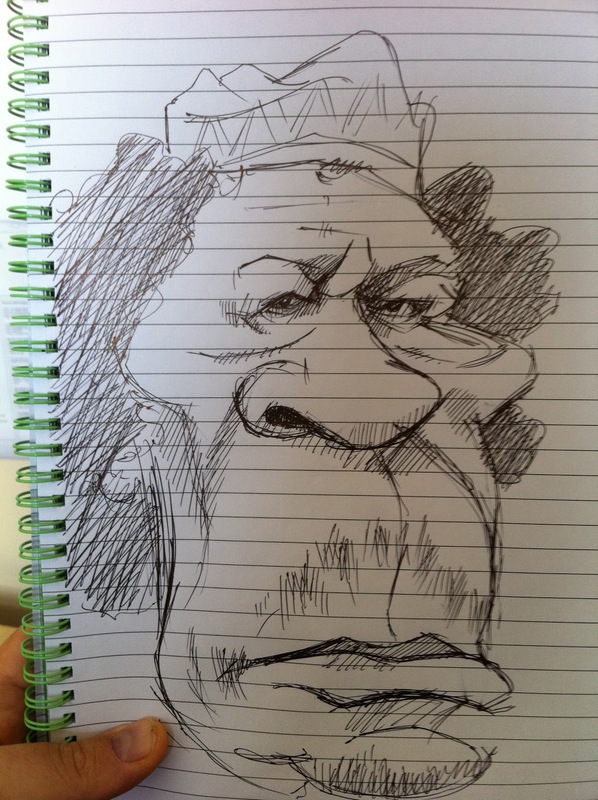 Now things have slowed down a bit at work, I managed to knock out a quick doodle of Muammar Gaddafi. I am going to work this up in to a final image and will keep you posted!